We invited IB Diploma graduates to reflect on post-IB life and offer perspectives on topics of their choosing. 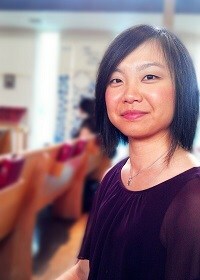 Alumna Dilys Huang is one of this year’s cohort of alumni contributing authors. Dilys Huang received her IB Diploma from Port Moody Secondary School. This is a question I’m asked from time to time. Thinking back, I would have to say that my interest in planning was first sparked during my IB Diploma Programme (DP) years after being introduced to the concept of urban sprawl by my IB Geography teacher. Eager to find out more about this concept, I became increasingly more curious of the way cities function and the various interactions that happen between and within them. The diverse experiences gained through the DP, such as the Extended Essay, gave me the opportunity to explore and delve further into the topic. Not only was I able to develop practical skills in undertaking an independent research project, including communication and analytical skills, critical thinking, and time management (which all proved to be useful preparation during the transition into university), I enjoyed discovering and learning new things throughout the process. More broadly, the IB experience encouraged me to follow my interests. IB programmes strive to prepare and develop students into becoming globally aware citizens and individuals who care about their communities. This view carried on into my university years. I had the opportunity to try new challenges, relocate to a number of different cities in Canada, and spend time overseas during my various planning internships and co-op work terms. Through these terms, I was able to gain a greater appreciation of the multidisciplinary aspect of planning and recognize the influence that planners can have on encouraging community development, enhancing the environment and managing growth in both local and international contexts. I also found myself looking for new opportunities to continue remaining active in the community, which Creativity, Activity, Service (CAS) had a role to play in by ensuring that students were balanced between academics and extra-curricular activities. Today, as a university graduate recently launched into the workforce, I am thankful to have been a part of the IB learning experience. Even though there were ups-and-downs during the IB journey at times, the challenges that I did face allowed me to become better prepared in the years that followed. Moving forward as a planner, I hope to continue applying the skills acquired through the DP, pursuing my passion in working with different groups of people, and finding innovative strategies to positively shape our neighborhoods and communities. Originally from Vancouver, British Columbia, contributing author Dilys Huang received her IB Diploma from Port Moody Secondary School in 2009. She completed her undergraduate and graduate studies in planning at the University of Waterloo and Queen’s University and is now working as a municipal planner. She is interested in and passionate about building sustainable communities and enhancing urban food systems.